" 2nd Lieut | 126 " Air Mechanic 1 | 1 " Bombardier. | 1 " Captain | 133 " Chaplain 4th Cl | 1 " Chaplain RN | 1 " Chief Commissioner | 1 " Corporal | 5 " CSM | 1 " Flight Lieutenant | 2 " Gunner | 1 " Lance Corporal | 2 " Lieutenant | 114 " Lieutenant Colonel | 15 Lieutenant Commander | 1 " Major | 26 " Officer Cadet | 1 " Private | 17 " Sapper | 1 " Sergeant | 2 " Sub Lieutenant | 2 " Surgeon | 2 " Surgeon Lieutenant | 1 " Trooper | 2 "
House: No 3, 1888 - 1892. Regiment: Worcestershire Regt. Died: 23 July 1918 aged 43 in Eygpt. Died at Cairo. Son of the Rev. A. Henry Arden (Reader in Tamil and Telugu), University of Cambridge, Curborough, Malvern. b. 1875. Worcestershire Regt. (from Militia) 1897; Captain 1900; attached to Egyptian Army 1904; retired 1912; Osmanieh, 4th Class, 1913; South African War 1899�1902, Queens Medal with 3 Clasps, King�s Medal with 2 Clasps. Great War, re-joined Worcestershire Regt. 1914; Brevet Major 1915; D.S.O. ; Brevet Lieut-Colonel; severely wounded and attached Administrative Branch (Egypt) 1918. No. 3 Cadet Wing Royal Air Force and Reserve of Officers, 2nd Bn. Worcestershire Regiment ,DSO, Mentioned in Despatches, Order of Osmanieh, 2nd Class. 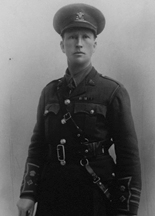 Later he commanded a battalion of the Northumberland Fusiliers, and was dangerously wounded in July 1916. After his recovery, he held a Staff appointment as Commandant of a R.F.C. Cadet wing. Having been asked to undertake an important work of military organization in the Near East, he went to Egypt, and died in hospital, at Cairo, on July 23rd, 1918, a few days after his arrival. 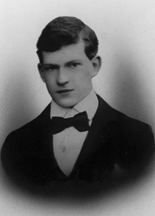 "Johnny" Arden had a genial and happy disposition, and was deservedly popular in the School.' (The Malvernian, November 1918). House: No 5, 1892 - 1895. Regiment: 20th Hussars. Died: 26 March 1918 aged 41 in France. Killed in action at Dives. Son of George Ward Cook, of Hoylake; husband of Alice Cook (nee Dorman), of The Dower House, Quatt, Bridgnorth, Salop and Greenham Cottage, Hoylake. b. 1877. Upper IV � Army Side. School Prefect. House XI Football. R.M.C. Sandhurst 3rd Dragoon Guards 1897; Major 20th Hussars 1911; South African War 1899�1902, Queen�s Medal with 3 Clasps. Great War, Lieut.-Colonel Commanding 20th Hussars; C.M.G., D.S.O., Croix de Guerre, Despatches (4). 'His chief love as a boy was for horses, a love which he inherited from his father�who also was a Malvernian�in fact one of the first boys to enter the School, having joined No. 1 (McDowall's) the first term the School opened 1865. As a school boy Trevor was a popular all round boy, and was one of a set in No. 5 whose school friendship were long maintained in after life. In sympathy with his love for horses Trevor Cook made up his mind from the first to get a commission in the Cavalry. He was with the 3rd Dragoons in South Africa. During his service in the present war he was twice mentioned in despatches, and was awarded the D.S.O. in 1915. He was killed in action last March.' (Malvernian, Jun 1918). In March 1918 during the German Spring Offensive, two mixed cavalry regiments were commanded by Lieutenant-Colonel Cook, called Cook's Detachment. They acted as a relief force, and were ordered on 26th March 1918 to mount up and ride to Cattigny to help the French who retired. The Germans surrounded the detachment and overwhelmed them. George Cook was killed in the fighting and his body was never identified. House: Sch, 1890 - 1893. Regiment: Seaforth Highlanders. Died: 04 March 1916 aged 42 in France. Died of wounds in Flanders. Born 19 Dec. 1874. Son of Maj. Gen. F. F. Daniell (late Gordon Highlanders) and Mrs. Daniell, Hilifield, Detting, Maidstone. Army Side. School Prefect. XXII Football; House XI Cricket. R.M.C. Sandhurst; Seaforth Highlanders 1895; Major 1913; Staff College, Quetta, 1908; General Staff, Mhow, 1911�12; Occupa tion of Crete 1897; Sudan 1898, Despatches, Queen�s and Khedive�s Medals with Clasp; South African War 1900-01, Special Service, Queen�s Medal with 4 Clasps; N.W. Frontier of India 1908, Medal with Clasp; King George�s Durbar Medal. Great War, Brigade- Major 1914; G.S.O.I., Lieut.-Colonel D.S.O., Despatches. Seaforth Highlanders attd. to 21st Division General Staff. DSO. Husband of the late Maud Esmie Daniell. He obtained his commission in Sept. 1895, and was promoted Captain, March, 1901. Served in the occupation of Crete in 1897, took part in the Sudan Expedition, was present at the Battle of Atbara, and in the South African War, 1899-1901. In 1908 he saw service on the North-West Frontier of India, taking part in the operations in the Zakka Khel and the Mohmand countries. He was Adjutant of the 1st Battn. Seaforth Highlanders, 1902 to 1906. He was promoted to Lieutenant-Colonel, Dec. 1913. 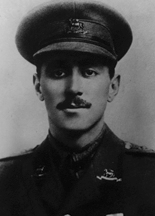 In WW1, he was twice mentioned in Despatches, and created a Companion of the Distinguished Service Order. He served as a G.S.O, and fell in action about 4th March, 1916. 'In the present war he served on the General Staff both in France and at home, was twice mentioned in despatches and awarded the D.S.O. He died of wounds in Flanders on or about March 4th, 1916. Temporary Lieutenant-Colonel and Staff Officer, 1st Grade. A contemporary writes : "Gifted with great charm of manner, a beautiful voice and real ability, he quickly made his mark at School. He was a soldier's son, and from the first concentrated all his efforts on fitting himself for his future profession, and though good at games he never allowed them to interfere with his work. His record in the Army speaks for itself, and by his death Malvern has lost one of her most promising soldiers."' (Malvernian, Apr 1916). House: No 3, 1888 - 1890. Regiment: Essex Yeomanry. Died: 13 May 1915 aged 43 in Belgium. Killed in action at Ypres. Son of E. Deacon, Buxted Park, Uckfield. B. 1872. Army Class. School Prefect. XXII Football. R.M.C. Sandhurst 1891; 1st King�s Dragoon Guards 1892; retired 1899; M.P.H. East Essex, Newmarket and Thurlow; D.L. 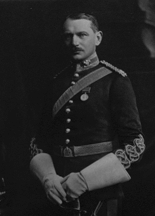 co. Essex 1912; Lieut.-Colonel Essex Yeomanry 1911. Great War, mobilised 1914, Commanded Essex Yeomanry formerly 1st (King's) Dragoon Guard. Husband of Sybil Deacon, of Sloe House, Halstead, Essex. Master of the Essex Foxhounds. 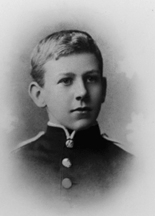 'After leaving Malvern, he went to Sandhurst and was gazetted to the 1st King's Dragoon Guards in 1891. He retired in 1899, and became successively Master of the East Essex and the Newmarket and Thurlow Hunts. When the Essex Yeomanry was formed, in 1901, he joined with the rank of Major, having raised a squadron in his own Hunt. In 1911 he was given command of the regiment. The Essex was one of the first Yeomanry Regiments to be chosen for active service, and left England for France in November 1914. 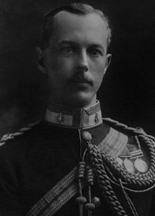 He was killed, while still in command of the Yeomanry, at the second battle of Ypres, May 13th, 1915. ' (Malvernian, Dec 1919). He was killed during the attack at 2.15pm to reoccupy front line trenches east of Potijze, near Ypres. House: No 9, 1902 - 1904. Regiment: Yorkshire Regt. Died: 14 September 1916 aged 29 in France. Killed in action. Son of Colonel Frederick Arthur Forsyth and Ellen Sanford Forsyth, Netherleigh, Leamington. b. 1887. Army III - I. House Prefect. House XI Cricket and Football. R.M.C. Sandhurst; Yorkshire Regt. 1906; Captain 1914. Great War, temporary Lieut-Colonel 191 D.S.O., Legion d'Honneur (Chevalier), Despatches. 2nd Bn. Northumberland Fusiliers attd. 6th Bn. Yorkshire Regiment. The Times: "Lieutenant-Colonel C. G. Forsyth, D.S.O., Yorkshire Regiment, who was killed on September 14th, 1916, passed into the Army from Sandhurst in 1906 and went immediately to South Africa, where he joined the Yorkshire Regiment. On returning to England two years later he was adjutant for two courses to a mounted infantry battalion at Longmoor, and in 1910 was made adjutant to his battalion. 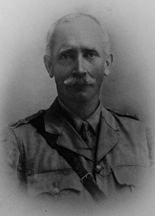 When the war broke out, Colonel Forsyth's regiment was in Guernsey, and at that time he was going through the School for Instruction for Flying, but was recalled to his regiment, which went to Belgium in October 1914, and took part in the first battle of Ypres, at which Lieut. Forsyth, as he then was, was severely wounded. He returned to his regiment in March 1915, having been awarded the D.S O. in January of that year. In February the President of the French Republic bestowed on him the Croix de Chevalier of the Legion of Honour "in recognition of his distinguished conduct during the campaign." On resuming his military duties Colonel Forsyth became second in command and adjutant to the Wilts Regiment under Colonel Leatham, and after the death in action of that officer at the battle of Hulluch he took command of the regiment, continuing in command for three days after being wounded. On recovering Colonel Forsyth was sent out to Egypt, where he was given command of a Yorkshire battalion which had just come from Gallipoli. After service in Egypt he went to another front last July with a Yorkshire battalion as temporary major, but was soon promoted lieutenant-colonel (dated February 9). A brother officer writes: �In his death the Army has lost one of its most brilliant and promising young officers, and I should think at the time he was given command of the Yorkshire Battalion he was probably the youngest commanding officer in the Regular Army. He had a great future in front of him if only he had been spared to come through this war." Those who knew Cusack Forsyth at school will not be surprised to hear that he became "one of the finest officers in the Service"; such was the opinion of a senior officer. As a boy, keen, alert, smart, endowed with good abilities, extremely popular, he was not likely as a man to disappoint the high hopes formed of him. He was killed in one of the captured trenches, after he had completed the task�a hard task too�that had been allotted to his battalion. (Malvernian, Nov 1916). House: No 4, 1890 - 1893. Regiment: Royal Flying Corps. Died: 11 November 1915 aged 39 in United Kingdom. Died on active service. Son of Frederick George Fulton and Mrs. Fulton, 76 Longridge Road, S.W. b 1876. Army II-I. House Prefect. House XI Football. R.M.A. Woolwich; R.F.A 1896, Major 1913; from 1911 attached successively to Balloon School; Air Batt. R.E., and Royal Flying Corps; Chief Inspector R.F.C. 1913; South African War 1899-1901, Despatches (2); C.B. 1914. CB - Companion of the Bath. Chief Inspector of the Aeronautical Inspection Dept. Royal Flying Corps and Royal Field Artillery. 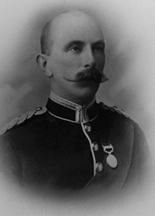 'Lieut.-Colonel Fulton was one of the most distinguished of Old Malvernian officers, The Times says of him: "Colonel Fulton entered the Royal Artillery in March 1896 and served throughout the South African War, where he took part in the operations for the relief of Ladysmith, including the action at Coleuso. He was also present at the actions at Spion Kop, Vaal Kranz, Tugela Heights, Pieter's Hill, and Laing's Nek; he was twice mentioned in despatches and received both medals with eight clasps. In 1910 Captain Fulton taught himself flying on a Bleriot monoplane which he bought in June of that year, and in November he qualified for the Royal Aero Club's certificate on Salisbury Plain, being the first military officer on full pay to obtain it. 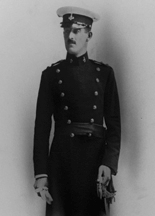 In the following year he was appointed to the newly-formed Army Air Battalion, and was sent to Paris to purchase the first airplane for that Corps. From May 1912 to December 1913 he served as Instructor at the Central Flying School, and in the last-named month became Chief Inspector Royal Flying Corps, a position which he held until the end of last year, when he was appointed Chief Inspector, Aeronautical Inspection Department. He was created C.B. in 1914." He died on active service, November 11th , 1915.' (Malvernian, Apr 1916). House: No 4, 1892 - 1895. Regiment: Welch Regt. Died: 17 May 1916 aged 38 in France. Died of wounds at Merville. Son of J. Gaskell C.B.E., and Emily Mary Gaskell, Cowbridge, Glamorgan. Lower IV - Lower Modern I. 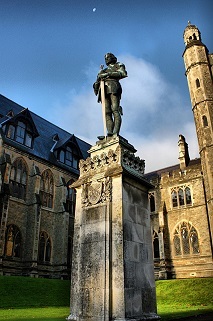 University College of S. Wales. Served in South African War with 3rd Batt. Welch Regt., Queen�s Medal with 5 Clasps. Solicitor 1902. Barrister, Middle Temple, 1910; twice unsuccessfully contested East Glamorgan. Great War (overseas), Captain 3rd Batt Welch Regt 1914; Lieut.-Colonel 16th Welch. Husband of Violet Gaskell, of Boscobel, Llanishen, Cardiff. 'He practised for some years at Cardiff as a Solicitor and subsequently as a Barrister on the South Wales circuit. Taking an active part in public affairs and keenly interested in politics, he fought two Parliamentary elections and was the prospective Unionist Candidate for South Glamorgan. In the South African War he served with the 3rd V.B. Welsh Regt., and was promoted to Staff rank. At the outbreak of the present war he re-joined as a Captain, and was attached to the 2nd Welsh. He was wounded in the fighting on the Aisne and sent home, where he raised the Cardiff City Battalion, to the command of which he was appointed. He was severely wounded on May 16th, and died on the following day.' (Malvernian, Jun 1916). House: No 1, 1898 - 1900. Regiment: Royal West Surrey Regt. Died: 15 September 1916 aged 32 in France. Killed in action at High Wood. Son of the late Maj. P. F. P. Hamilton, R.A., and Mrs. Hamilton, Brendon, Winchester, b. 1884. Royal West Surrey Regt. (from Militia) 1904; Lieutenant 1910. Great War, Lieut.-Colonel 19th London Regt. M.C., Despatches (2). Husband of Kate Gibson Hamilton, of 42, Eaton Square, London (married on 2nd April 1914 at Christ Church, Mayfair). 'Arthur Percy Hamilton joined No. 1 in September 1898, being placed in the Army Side. He was an attractive boy of a quiet modest nature. His health was unfortunately not strong, and on this account he left school before he was able to attain any high position. His character when with us gave indications of the spirit which was afterwards to lead to distinction in the Army. He was killed in action on September 15th.' (Malvernian, Nov 1916). House: No 5, 1893 - 1895. Regiment: Royal Engineers. House: Sch, 1894 - 1897. Regiment: Royal Air Force. Died: 07 February 1919 aged 39 in Germany. Died at Koblentz. Born in 1880 at Coquimbo, Chile. Son of Oliver William and Mary Saunders Jenkins, of "Elsinore," 8, Redland Green, Bristol, and Elsinore, Bodenham Road, Hereford. School of Mines, Truro; Mining Expert, many years in Mexico. Great War, Lieutenant R.N.V.R. attached R.N.A.S. 1914; British War Mission to U.S.A. 1915-17; Lieutenant R.A.F. ; C.B.E. Died at Koblentz February 7, 1919. 'A mining expert, he had spent many years in Mexico, and only came home in 1913 in consequence of the civil war in that country. He volunteered for service, and was gazetted Lieutenant R.N.V.R. attached to R.N.A.S. in 1914. From 1915 to 1917 he was mainly engaged on Government work in America, being latterly attached to the British War Mission to the U.S.A. For his services he was awarded the C.B E. and made Lieut.-Col. in the R.A.F. Subsequently he paid a third visit to the States. He died at Koblentz, on February 7th, 1919, of pneumonia following influenza.' (Malvernian, Nov 1919). House: No 4, 1889 - 1893. Regiment: 43 Erinpura Regt. (I.A.). Died: 18 August 1916 aged 41 in France. Killed in action. Son of Michael and Frederica Longridge, Linkvretten, Bowdon. b. 1875. Upper IV�Army Class. Minor Scholar. School Prefect. Shoot ing VIII; XXII Football; House XI Cricket. Lieutenant in Corps. Indian Army 1897; Major 1913; Assistant Secretary Imperial Defence Committee; China 1900, Despatches, Medal; Somaliland, 1903-04, Despatches, Medal with 2 Clasps. Great War, G.S.O. Indian Expeditionary Force, C.M.G . 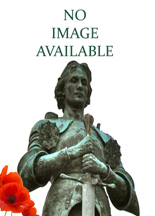 (Companion of St Michael & St George)., Brevet Lieut.-Colon. Husband of Alice Lilian Longridge, of Bow Cot, Headley, Hants. 'In September 1914 he gave up his appointments at home to join the Army in France on the Staff of the Indian contingent. 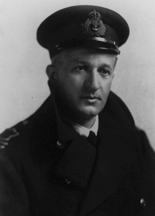 In 1915 he was transferred to become Chief Staff Officer of a Division. On August 18th, 1916, he stayed on in the trenches with characteristic thoroughness, to observe some operations which he had directed, and was hit by a stray bullet. He died instantaneously. The brief record which is given above of Colonel Longridge's twenty-one years' service is sufficient to show that in him the School has lost one of her most distinguished soldier sons. That, if merit met with due reward, he would reach a high position in the Army, was confidently predicted by those who had, in his youth, observed his outstanding qualities of mind and character. He impressed men by his quiet strength and steadfast purpose, his acute and penetrating intellect, his unwearied devotion to duty, his courtesy and charm of manner. Some idea of the estimate formed of him in high places is given by the following extracts from letters written by Generals and public men under whom and with whom he served. "He was an exceptional man and a splendid staff officer. His division and all who knew him respected him greatly." "To the Indian Corps he was invaluable. . . . He seemed assured of a career of great distinction. We can ill spare men of his worth." "In him the Service has lost one of its most distinguished officers." "His ability, his indefatigable love of work, and his devotion to his profession and scientific equipment for it, marked him out, had he been spared, for high eminence." "The country has lost one of the very best officers we had. . . His grasp of broad principles was only excelled by his extraordinary mastery of detail. . . . His was a splendid character, including courage of the highest order, ceaseless perseverance, tact, and great ability." We are authorised by Lieut.-Colonel Sir Maurice Hankey, K.C.B., Secretary of the Committee of Imperial Defence, to state that, in the years preceding the war, Colonel Longridge did invaluable work in connection with the arrangements for the preparation for war. 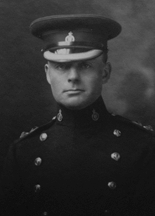 The value of Colonel Longridge's work in this respect was fully recognised by the Prime Minister and the Committee of Imperial Defence, and was rewarded with a C.M.G. Nowhere is Colonel Longridge's death more deeply felt than in the Committee of Imperial Defence and among his colleagues in the Secretariat, who not only placed the highest value on his professional attainments, but were united to him by bonds of intimate friendship.' (Malvernian, Dec 1916). House: Sch, 1884 - 1886. Regiment: Army Service Corps. Died: 15 April 1917 aged 48 in Greece. Lost at sea on Transport 'Arcadian'. Son of Colonel H. G. Puckle (Madras Staff Corps) and Cecilia Puckle, Pitlochry. b. 1869. Upper III�1V. XXII Football; House XI Cricket. Peterhouse, Cambridge, 1889; R.M.C. Sandhurst; South Wales Borderers 1893; A.S.C. 1894; Major 1906. Winner Army Rackets and Lawn Tennis Doubles. South African War, Despatches. Queen�s Medal, D.S.O., 1902. Husband of Mary Clifton Tabor (formerly Puckle), of 91, Grosvenor House, Park St., London. Great War, Lieut.-Colonel 1915. Lost at sea on the transport Arcadian April 15, 1917, Despatches. 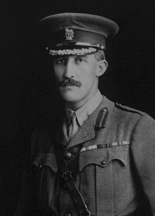 'Lieutenant-Colonel Puckle was one of the first three British officers to land in France at the outbreak of the present war, being sent out in advance of the Expeditionary Force. He was mentioned in despatches in May 1915, and was one of eighteen officers reported missing, believed drowned on April 15th. He was one of the pair who won, two years in succession, for the A.S.C. the Army Rackets Championship Doubles, and also the Army Lawn Tennis Championship Doubles.' (Malvernian, Jun 1917). 'He was ordered to Palestine in March 1917, and was drowned near Stephanos, Greece, on the 15th April, when he was officer commanding troops (about 1,600) on board H.M. Transport Arcadian. An officer wrote: �I have never experienced greater kindness from any commanding officer; His friendly courtesy, his extreme consideration for others, and his never-failing nobility of mind were conspicuous traits in him, which endeared him to all with whom he had dealings, whether official or social. We all looked up to him as the true Ideal of what an officer and a gentleman should be, and one and all admired and respected him accordingly. Of the many officers under whom I have served I have never known one with such a wonderful sense of duty. He saved many lives by his organization on the Arcadian, and by his attention to duty and the example he set when the disaster took place. It was a supreme test of courage and discipline which he bore unflinchingly. We who knew him and had the honour of serving under him �and it was indeed an honour�are not surprised at his self-sacrifice. He never on any occasion spared himself.�' (De Ruvigny). House: No 7, 1895 - 1898. Regiment: Royal Scots. Died: 12 May 1916 aged 35 in France. Killed in action. Son of Rev. R. C. W. Raban, Bishop's Hull, Taunton, b. 1881. R.M.C. Sandhurst; Somerset L.I. 1900; Indian Army (1st Bengal Lancers) 1901; Major 1915; Staff College, Quetta, 1914. 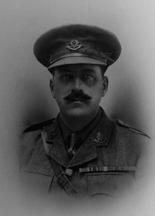 Great War (overseas), Lieut.-Colonel 13th Bn. Royal Scots. Son of the late Rev. R. C. W. Raban (Vicar of Bishop's Hull, Taunton), and Mrs. Raban. Aide-de-Camp to the King at the Delhi Durbar. The Times: "Lieutenant-Colonel Raban, 1st Duke of York's Own Lancers (Skinner's Horse), attached Royal Scots, was officially reported killed on May 12th. In connection with the great Durbar in Delhi in 1911, Captain Raban (as he then was) had the honour of being appointed one of the four Aides-de-Camp to the King-Emperor, and received the Durbar Medal. In 1914 he qualified for the English and Indian Staff Colleges, and passed into the Indian Staff College, Quetta. Shortly after the outbreak of the war, Captain Raban was selected to accompany a squadron of native troops to the front. In November last he was gazetted as second in command in the 7th Battalion Cameron Highlanders, with the rank of Major. In April he was made temporary Lieutenant-Colonel, and attached to the Royal Scots." At 08.30 on 11th May 1916, the 13th Royal Scots took over the trenches opposite the Hohenzollern Redoubt at Loos, and at 16.15 the enemy opened a very heavy bombardment, and at 17.00 a shell entered the battalion HQ dug-out, killing or wounding the entire battalion HQ including Lieutenant Colonel Raban. House: Day, 1879 - 1881. Regiment: Indian Army. Died: 14 July 1915 aged 49 in Africa. Killed in action in E. Africa. Born 2nd April 1866. Son of Henry and Marie Vallings, 12 Lansdown Crescent, Malvern. Lieut.-Colonel 29th Punjabis 1914: N.W. Frontier 1897�98, Malakand, Medal with Clasp; Waziristan 1902, Despatches, Clasp. Husband of Gertrude Vallings, of Netherbury Court, Netherbury, Dorset. 'He obtained his first commission in the Liverpool Regiment in May 1888, and entered the Indian Army in 1891, reaching the substantive rank of Lieut.-Colonel on May 9th last year. He had been a double-company commander in the 29th Punjabis since May 1905, and had recently been acting as temporary second in command. He saw service on the North-West Frontier of India in 1897-8 as Orderly Officer to the Officer Commanding, and again in 1901-2, adding thereby another clasp to his medal. He was also mentioned in despatches. He was killed in action in East Africa on July 14th.' (Malvernian, Jul 1915).